DBHawk includes an Add Foreign Key Constraints feature. 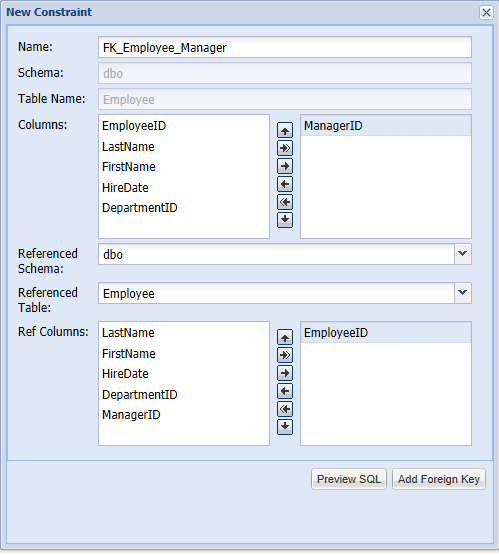 After creating SQL Server Table, you may want to add Primary and Foreign Key constraints. 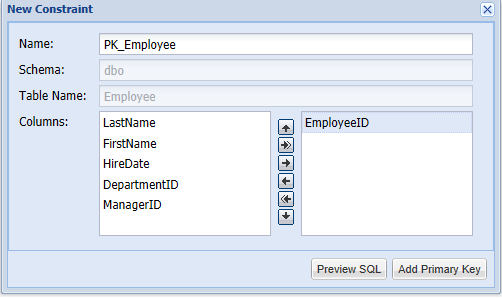 The add column part in the wizard let me add the default constraints, but I want a foreign key from ManagerID to EmployeeID. Checked the ‘Options’ drop down and found what I needed. First, add new Primary Key Constraint.